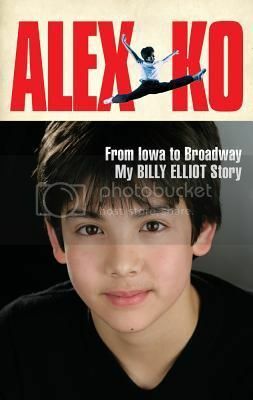 In this straightforward autobiography, Ko covers the two main events in his young life: the loss of his dad from cancer when he was eleven, and his subsequent foray into ballet leading to a starring role on Broadway at age thirteen. After being sidelined from gymnastics due to working through an injury, Ko finally receives his father’s blessing to pursue dance. Ko’s passion for dance, both as an athlete and as an artist, is evident. Despite his family’s financial hardships and many setbacks, Ko never loses his upbeat disposition. Ko’s father remains on his mind, as he connects to him in nightly prayers and a dance piece choreographed in his father’s memory eventually becomes the audition piece that scores him the role in Billy Elliot. Readers will be fascinated by the backstage details of working on Broadway and impressed by Ko’s humble nature. Ko experiences equal parts camaraderie and competition with the two other boys who share the role. Even after appearing on Broadway, Ko remains starstruck by some of the celebrities he meets including Rosie O’Donnell and President Obama. An appealing memoir for tweens and their contemporaries. This review was originally published in School Library Journal.